Access to the water, via the staircase transom, is easy for all ages. Snorkelling, sea kayaking, water skiing, and sea biscuit – all the toys are here. The perfect spot for sun bathing. The deckhouse roof, where the built-in cushioned mattresses and plush towels await. To assure your complete privacy the crew accommodations are located aft off the saloon along with the engine room, galley and navigation station. The simplicity of Ocean’s Seven2 ‘s staterooms conceals a flexibility bordering on the magical – with choices no other sailing yatch offers. Her en suite cabins are be configured as four identical kings. Insulation and soundproofing between cabins, and between the saloon and galley, is designed to assure your privacy. Relax on pump cushions. Savor long lunches. The generous shaded cockpit has room for everyone. Below, the interior, lined with the cool simplicity, offers escape from the heat of the day. Luxurious suede seating in the saloon invites a recap of the day’s adventures, games, a night at the movies and music. The surround sound entertainment center with TV, CD, DVD, MP3 meets your every mood. Comfort for the most discerning guest and sailing excellence for her yachtsman owner. Come aboard. Experience the achievement of the dream. Simplicity, reliability and flexibility define her. Set with fine linens, china and crystal, the dining table comes your private five-star restaurant, the menu inspired by your choice of cuisine and wines. Excellent international and local cuisine will be specially tai¬lored to meet your individual requests and considerations, all prepared by our gourmet chef. 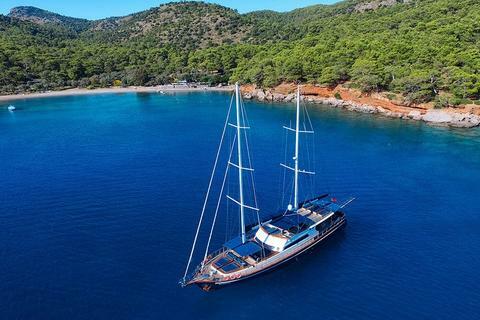 Gulet designed for luxury private crewed yacht charters with modern and large cabins, saloon and deck. 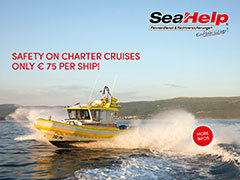 , 2 double cabins, 6 twin cabin with 2 single beds is offering spacious accommodation up to 16 people. 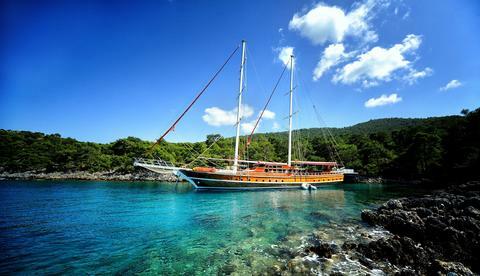 Sailing around Greece or Turkey with this Gulet (year 2013) is indeed a memorable holiday. 6 cabins, 3 crew members: perfect for couples, families or groups of friends just wanting to get away from the daily grind. 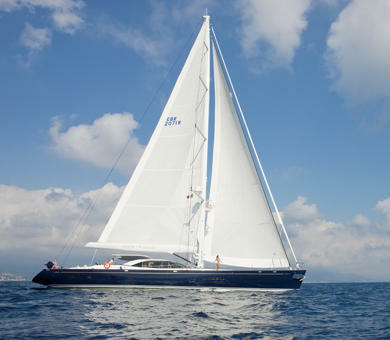 Luxury Sailing yacht available for charters in the Western Mediterranean, based in Balearic Islands. 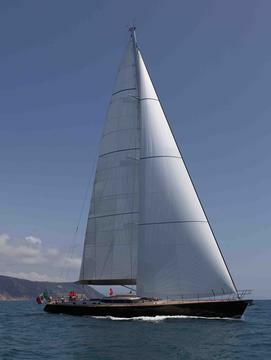 with her Nauta design and high performance features provides thrilling sailing in chic italian style!